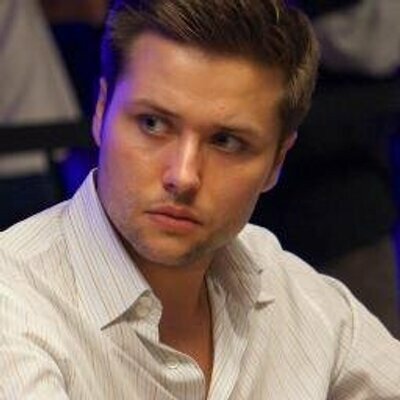 Prominent high-rolling poker pro Yevgeniy Timoshenko has settled a case against his former roommate in a shared New York City apartment over unpaid rental fees, expenses, damages from failed business ventures, and even $10,000 in cash gone missing from Timoshenko’s nightstand while he was away on a poker trip several years back. Timoshenko had sought roughly $90,000 in alleged damages from the former roommate, Frank Gu, for various problems that occurred while the two roomed together back in 2010 and 2011, though Timoshenko didn’t file his lawsuit until March of 2017. 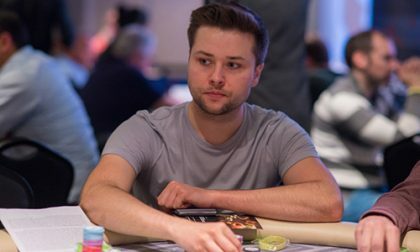 Terms of the settlement between Timoshenko and Gu, described as being a pro player and friend of Timoshenko’s at the time their relationship began, were not released. However, the dismissal order was filed by presiding US Magistrate Judge Kevin M. Fox last week, preventing a trial in the case from beginning on September 25, 2018. The dismissal order refers to an mediation process entered into between Timoshenko and Gu that took place over the past few weeks. The order also allows that the actual trial phase can be reinstated by either party within 30 days if requested. Reading between the lines, one could infer that Gu entered into some form of repayment agreement or schedule, and that there’s a 30-day window for that repayment process to begin. The shared-apartment arrangement between Timoshenko and Gu lasted only from September 2010 to September 2011, and whether Gu was an online-dependent pro who was heavily impacted by April 2011’s Black Friday remains unclear. What is clearer, according to Timoshenko’s complaint, is that Gu quickly fell behind by many thousands of dollars on what he owed to Timoshenko. $10,000 Timoshenko asked Gu to keep safe while he was out of the country. 42. While they were roommates, Mr. Timoshenko entrusted Mr. Gu with $10,000 cash before Mr. Timoshenko left for a trip to London. Mr. Timoshenko delivered the cash to Mr. Gu, who agreed to store it securely and redeliver it to Mr. Timoshenko upon his return. 43. Mr. Gu claims he placed the cash in his briefcase, and then in a nightstand in Mr. Timoshenko’s bedroom in the Apartment. 44. At some point while Mr. Timoshenko was away, Defendant allowed a stranger to stay in Mr. Timoshenko’s room where, according to Defendant, the cash was still in the nightstand. 45. When Mr. Timoshenko returned from his trip, Mr. Gu was unable to redeliver the cash or any item of equivalent value. 46. Mr. Gu accepted responsibility for the lost cash, admitted he mishandled or negligently handled the cash, and promised to repay the amount. To date, Mr. Gu has not repaid any of the value of the lost cash. 105. When Mr. Timoshenko delivered the $10,000 in cash to Mr. Gu for safekeeping, and Mr. Gu agreed to secure it for Mr. Timoshenko until his return from London, they established a bailor-bailee relationship. 106. Mr. Gu had sole possession and control of the cash after Mr. Timoshenko delivered it to him. Mr. Gu claims to have stored it first in a briefcase and then in the nightstand in Mr. Timoshenko’s room. 107. While Mr. Timoshenko was away, Mr. Gu allowed a stranger to stay in Mr. Timoshenko’s room. He did not remove the cash from the nightstand before doing so. 108. At no time did Mr. Gu deposit or safeguard the cash in any manner reasonably sufficient to protect it from loss or theft. 109. Mr. Timoshenko’s cash was inexplicably lost while it was under Mr. Gu’s control. 110. Mr. Timoshenko demanded the return of the cash, but Mr. Gu never delivered it. 111. Mr. Gu’s loss and non-delivery of the cash makes out a prima facie case for gross negligence against Mr. Gu, who was in care and custody of the cash at the time it disappeared. 112. Accordingly, Mr. Timoshenko seeks $10,000 in damages from Mr. Gu to replace the cash that was lost while under his dominion.